I’ve been working on my Hunter set for what feels like forever now. Every piece i was looking for I’ve had for months and months now except one. 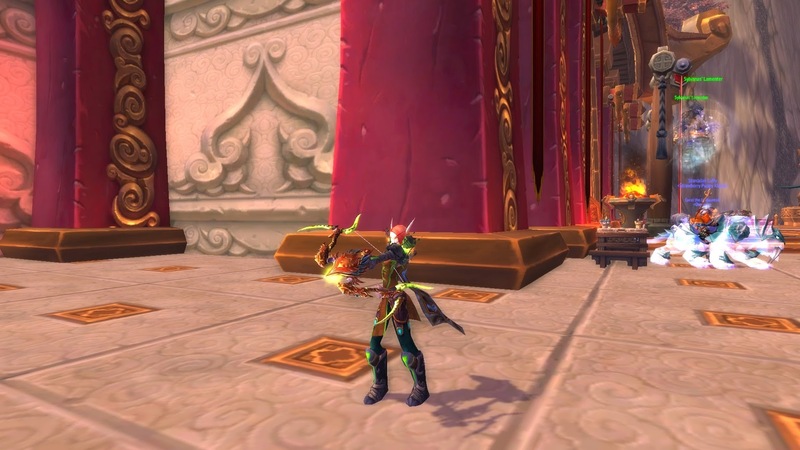 The dreaded Golden Bow of Quel’Thalas from Sunwell Plateau had been eluding me . After 14 weeks of terrible RNG, the damn bow finally dropped for me which completed my transmog set. What other theme would a Hunter have other than green of course. I now realize that every class i have other than Mage has a green themed set. Perhaps it’s time to change it up a bit but after the headache this bow was, i think Hunter is staying green.